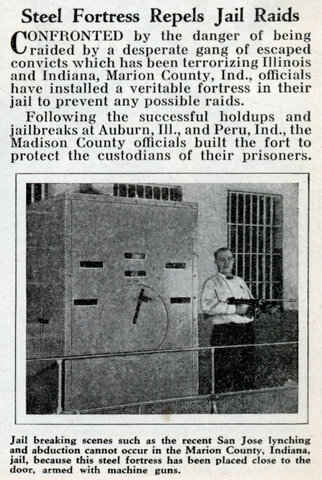 CONFRONTED by the danger of being raided by a desperate gang of escaped convicts which has been terrorizing Illinois and Indiana, Marion County, Ind., officials have installed a veritable fortress in their jail to prevent any possible raids. 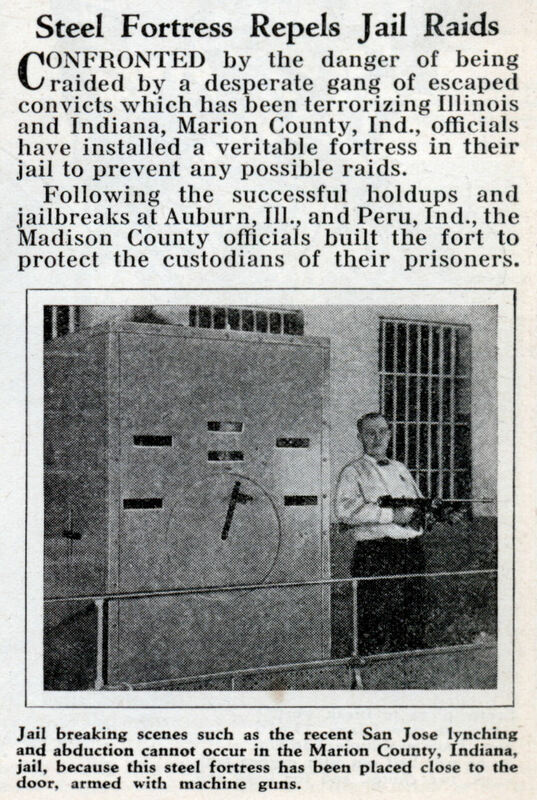 Following the successful holdups and jailbreaks at Auburn, III., and Peru, Ind., the Madison County officials built the fort to protect the custodians of their prisoners. Marion or Madison? I am now confused.